The east coast loves their crab cakes. 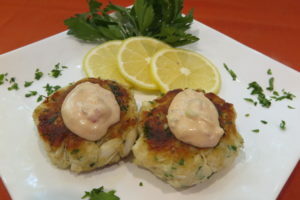 These delicious crab cakes are all about the sweet buttery flavor of the crab meat. They are seasoned with Dijon mustard, Worcestershire and a little Tabasco. The egg and crushed saltines lightly bind it all together. Serve with the Remoulade Sauce or try the Lemon Caper Dill Sauce or the Spicy Mango Sauce. 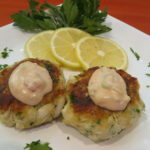 Try these other crab cake recipes: San Francisco Crab Cakes and New Orleans Crab Cakes. 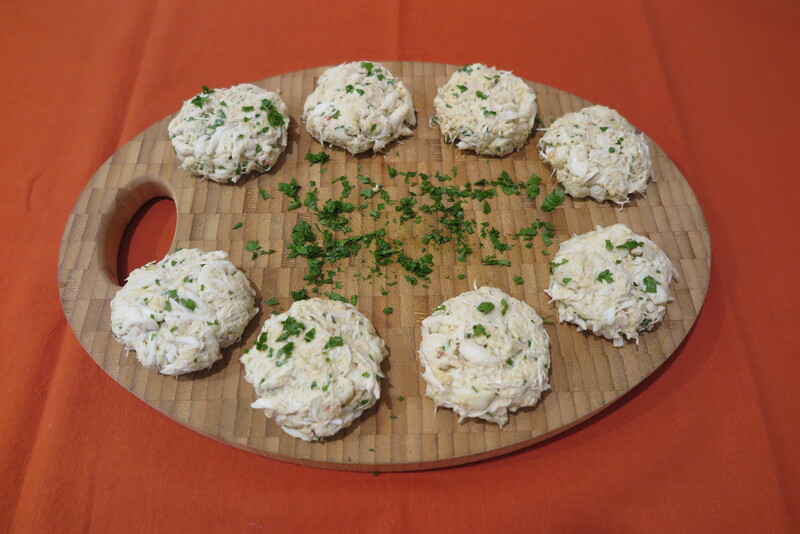 Click here to check out the article entitled The Infinite Ways of Making Crab Cakes. Baltimore Crab CakesDrain crab in a small colander. Check for pieces of shell. 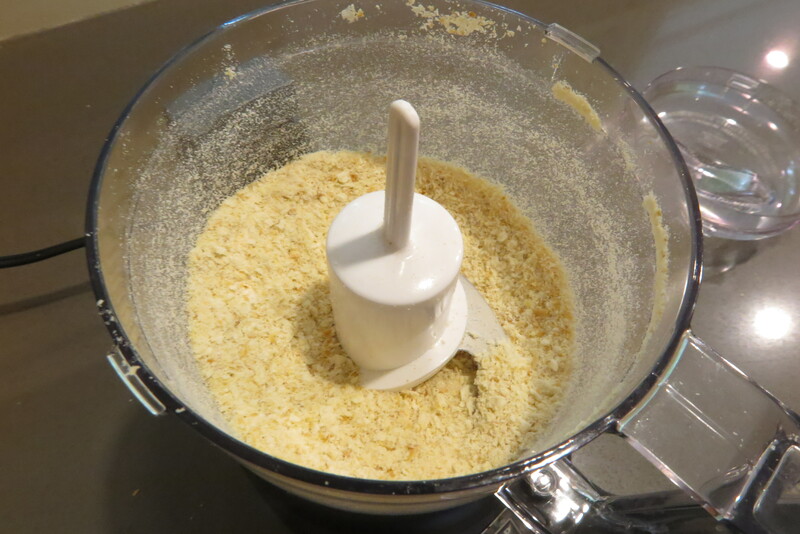 In a mini food processor, pulse saltines until they look like the size of panko crumbs. You can also place crackers in a plastic bag and use a rolling pin to crumble them. Set to the side. In a small bowl, combine the mayonnaise, egg, mustard, Worcestershire, cream, Tabasco and garlic powder. Whisk to incorporate all the ingredients. In a medium size bowl, add the drained crab and the cracker crumbs. Mix gently. You don’t want your crab to turn to shreds. Add the mayonnaise mixer and the fresh parsley, very gently mix. Form eight balls out of the crab mixture. Gently flatten to about a 1 inch thickness. Gently press in loose crab along the sides of your cake. Heat a large skillet over medium heat. Add 2 tablespoons of canola oil. Do not let oil smoke. 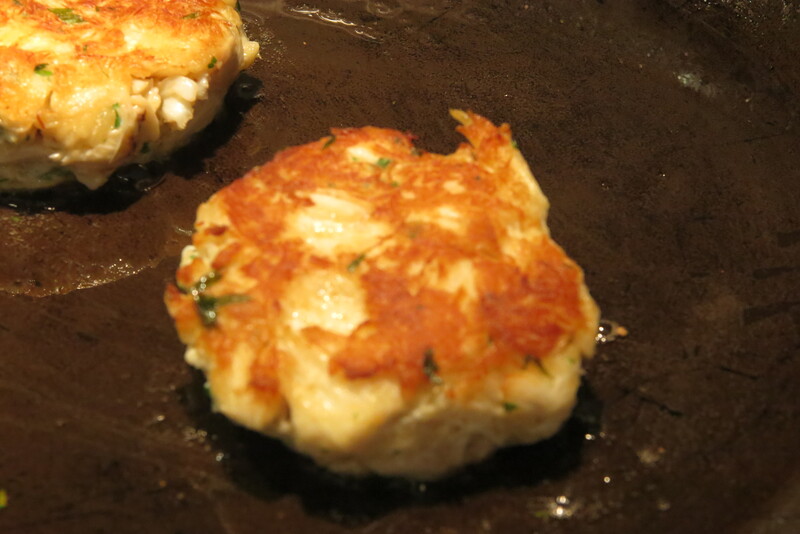 Add crab cakes and cook 1 ½ minutes to 3 minutes per side. The temperature of your pan will determine how long you cook. I like to check after a minute to determine if I need to increase or decrease the temperature. Mix all the ingredients. Refrigerate.